Mark A. Annunziata, P.C. is a Long Island based law firm that concentrates in the areas of Elder Law, Guardianships, Estate Planning and Administration, Wealth Preservation and Real Estate. Mark A. Annunziata, P.C.’s mission is to protect its client’s assets and ensure their wishes as well as their dignity. Mark A. Annunziata, P.C. prides itself on client service. Mark A. Annunziata, P.C. will always put the client first, take the time to address the client’s concerns, explain options in detail and most of all put the client at ease during difficult times or when planning for his or her future. Mark A. Annunziata, P.C. has established and maintains good relationships with Financial Advisors, Accountants, Geriatric Care Managers, Long Term Care Planners and Certified Pre-Plan Funeral Directors to provide its clients with the best possible options available for their planning needs. Mark A. Annunziata is very active in his professional community. He is a Supreme Court and Surrogate’s Court appointed Court Evaluator, Guardian and Guardian ad Litem for incapacitated persons. 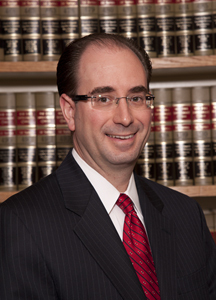 He is a member of the New York State Bar Association’s (NYSBA) Elder Law Committee and Trusts & Estates Committee. He is also a member of the Nassau County Bar Association’s (NCBA) Elder Law, Social Services and Health Advocacy Committee. Mark A. Annunziata is also the past Chair of the NCBA’s Surrogate’s Court Estates & Trusts Committee. He is currently on the Board of the WE CARE Fund, which is the charitable arm of the NCBA, and is currently an officer of the Columbian Lawyers Association of Nassau County.